2 heaped tablespoons activated goodMix. 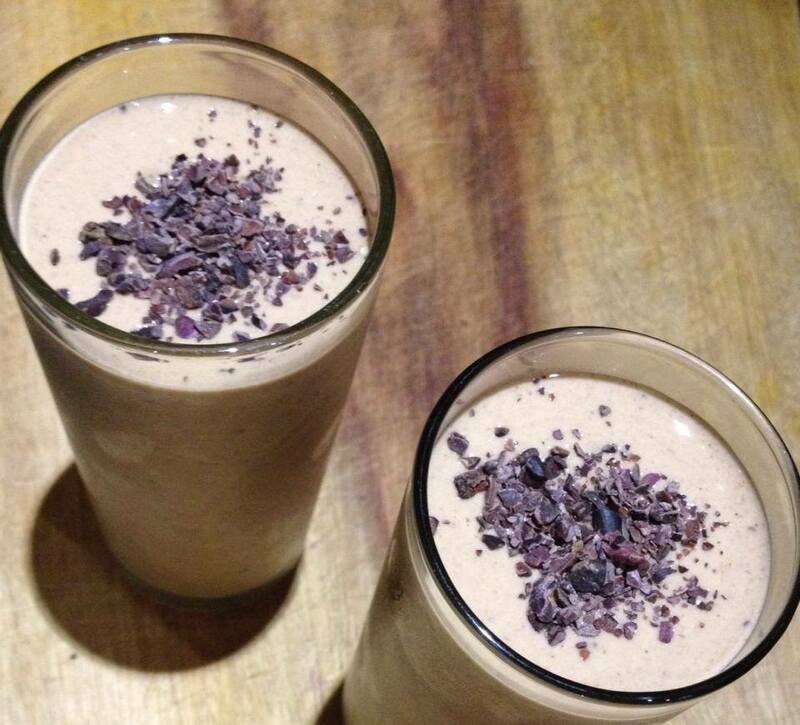 3 ripe frozen bananas, dessert spoon of raw cacao powder. dessert spoon of raw cacao nibs. 3 tablespoons of natural or coconut yoghurt or coconut cream. 1 scoop of protein powder (optional). Sprinkle with extra cacao nibs to serve. Serves 2 adults or several kids – You can adjust ingredients to suit taste, add extras like carob powder, maca etc. Pour any leftover into ice cream moulds for later!